Most drug addicts find it difficult to wean themselves away from the fatal substance and require a protracted therapy for that. And the pace with which the substance abuse problem has become increased, means that such therapies are gaining traction. An important part of it is the drug screening process which has seen its market grow steadily owing to the increasing number of drug addicts around the world. Going forward, the drug screening market is expected to rise further because of the formulation of strict rules and regulations to curb the menace. Those mostly include mandatory drug and alcohol testing. Increased government spending on such devices is serving to benefit the market. Another factor that is stoking the drug screening market is the swift approval and launch of more sophisticated products owing to the constant thrust on product development by keen players. However, on the flipside, ban of consumption of alcohol in many Islamic nations, prohibition of workplace drug testing in many organizations, and inaccuracy of breathalyzers at times is posing a challenge to growth in market. Going forward, oral fluid testing will open up new frontiers of growth for players in the market. Yet another channel of growth would open up because of fingerprint-based drug screening. Currently, North America and Europe account for maximum share in the drug screening market. This is because of organizations such as Drug Enforcement Administration (DEA) in place in the U.S. and various stringent regulations in North American and European countries. In the next few years, however, emerging economies of Asia Pacific will power market growth because of the mushrooming small and medium drug treatment institutions in the region. Most of the savvy players are turning their gaze towards the region in order to grow further. Drugs are the number one cause of premature death across the world and despite tight security measures at the borders, a number of governments are failing to contain this expanding issue. Now, several governments are adopting screen methods to test potential addicts on the run time as well as encouraging corporate organizations to introduce workplace check-ups. Consequently, the demand in the global drug screening market is poised to expand a notable CAGR during the forecast period of 2017 to 2025. This report on the global drug screening market is an all-inclusive business intelligence study that showcases its lucrativeness. Compiled by a group of professional research analysts, the report aims to aid as a reliable guide for targeted audiences such as drug and alcohol testing laboratories, manufacturers of testing product and equipment, rapid drug screen device manufacturers, healthcare providers, law enforcement agencies, government agencies, and venture capitalists. Starting with an executive summary that includes overview of how the demand for drug screening has evolved in the recent past and where it is headed, the report dives into the analysis of various market dynamics, such as trends, drivers, opportunities, and challenges. 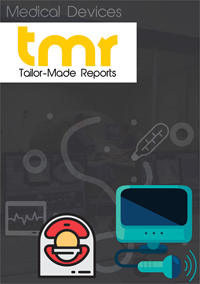 The report also divides the drug screening market into logical segments and determines the potential of demand that can be expected out of various regions and countries. Finishing up a thorough study, the report includes an extended and featured section on the competitive landscape of the global drug screening market, wherein a number of key vendors have been profiled for their product portfolio, business establishment, and recent strategic decisions. Some of the key factors driving the demand in the global drug screening market are: enforcement of stringent laws that mandate drug and alcohol testing in a number of countries, and growing consumption of drug and alcohol and inflicted community issues, presence of government funding in major markets. In addition to that, a number of new products, devices, and services have gained regulatory approvals, and are gaining adoption among both government agencies and corporate organizations. On the other hand, ban on alcohol consumption in a number of countries that follow Islam ideologies, prohibition of workplace drug testing in some countries, and issues pertaining to accuracy and specificity of breathalyzer are a few restraints obstructing the drug screen market from flourishing. The vendors operating in this market are expected to gain new opportunities is they transform their business strategies towards oral fluid testing and develop the concept of fingerprint-based drug screening. Additionally, market players are expected to make a foray into the emerging economies to find new consumers. North America and Europe are the two most profitable regions in the global drug screening market. In the developed country of the U.S., government has its Drug Enforcement Administration (DEA) in place since long that readily adopts new products that helps them curtail the ubiquity of drugs. Similar controlling measures are taken in a number of European countries such as the U.K., Germany, and France. However, the emerging economies in Asia Pacific, wherein small and medium enterprises are mushrooming, are expected to turn the region into a lucrative one towards the end of the forecast period. Siemens Healthineers, Drägerwerk, Alere, Alfa Scientific Designs, Thermo Fisher, Roche, Shimadzu, MPD, Inc., OraSure, Lifeloc, LabCorp, Psychemedics, Quest Diagnostics, Omega Laboratories, SureHire, CRL, and CannAmm are a few key players currently ahead of the curve in the global drug screen market.